Provide some entertainment for yourself alongside your chores by listening to something – whether it be a favourite music playlist, a podcast, the radio, or even an audio book! Just because you are working, doesn’t mean you can’t have fun too. Some catchy upbeat music will help to pass the time and a little bit of grooving while you clean will help to burn some calories too! A problem shared is a problem halved, after all! Not only will the company make the work seem less boring, but you’ll get the work done in half the time by cleaning with a friend. You could also trade cleaning time with your buddy, so one day your clean your home and the next day you help them to clean theirs. Cleaning with a friend also comes in handy when you are looking to declutter and need a second opinion on whether to keep or get rid of something! If the task at hand seems too big to overcome in one day, start off by setting small achievable goals. Make a list of tasks so you can easily plan out what needs to be done. This will help you to stay on track. One way to do this is to clean room by room, only moving on to the next once you have finished the first. You’ll have your home spotless in no time! One surefire way to motivate yourself is to invite friends or family members over for dinner. This means that you need to get all your cleaning done by the allotted time in order to impress your guests with your clean and tidy house! Another way to set a deadline is to use a timer, promising yourself that you’ll have everything completed by the time the alarm goes off. What better motivator is there than having something you really want waiting for you at the end? Whether it’s a night out for dinner with friends, watching a movie in your newly cleaned home, or buying yourself that book you’ve been wanting, a reward is a fantastic motivating tool that will be all the more appreciated after your hard work. We hope that these tips prove useful in motivating you to clean your home! If you are looking to buy or sell a home this spring, our team of expert RealtorsⓇ are here to help you. Contact us today for a free home evaluation, or browse through our hundreds of real estate listings in Ottawa and Eastern Ontario. 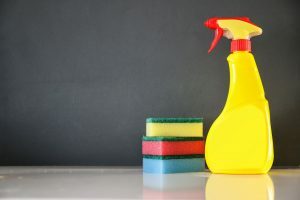 PreviousPrevious post:What to Expect During a Home InspectionNextNext post:4 Tips For Pricing Your Home to Sell Quickly! 4 Tips For Pricing Your Home to Sell Quickly!